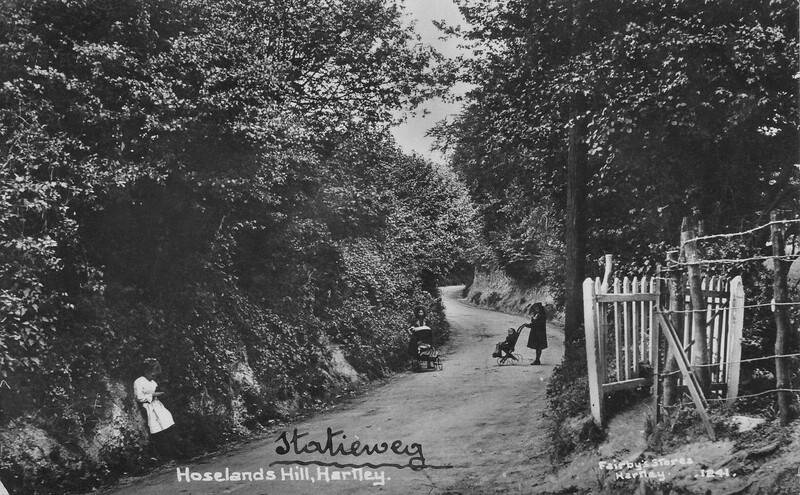 Recently I bought a postcard of Hoselands Hill which had been sent from Hartley in April 1915. It was in Flemish and was sent by Paul Ketele (1883-1959). The text is set out below (thanks to Google translate!). 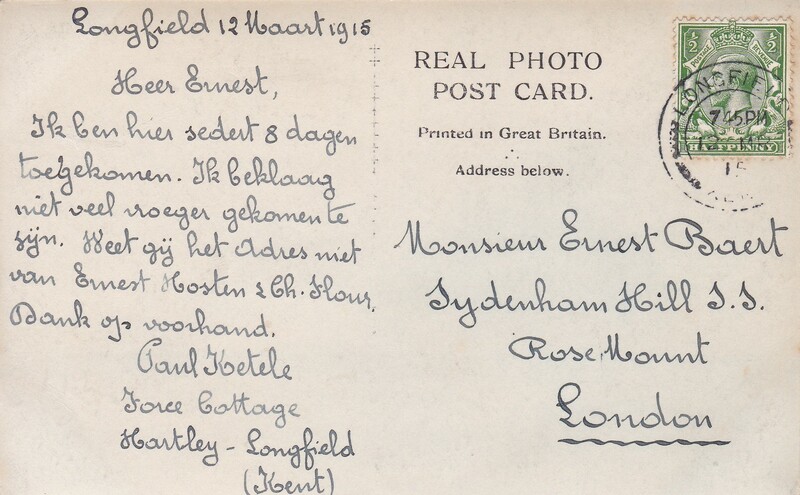 It is interesting to see the way the address is written with the road name first and then the house on the next line. I have been here since 8 days. I do not complain much too much earlier. 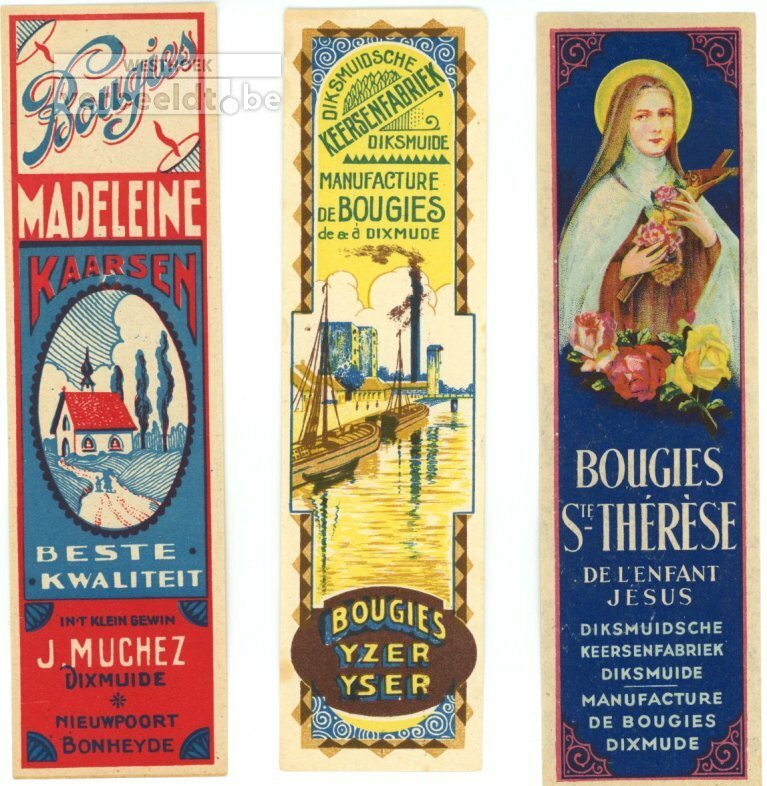 Do you know the address of Ernest Hosten & Ch(arles) Flour? Thank you in advance. Mr Ketele came from Diksmuide in the Flanders part of Belgium. 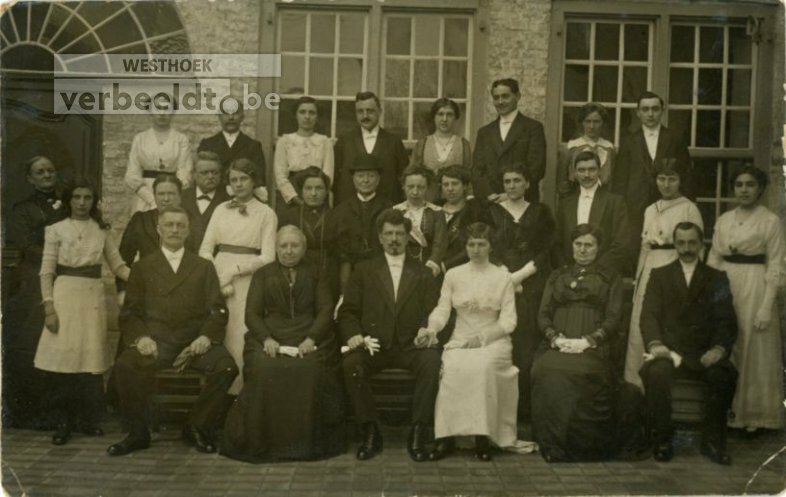 He was born in 1883, the son of Jozef Ketele and married Anna Pieters in about 1905. Before the first world war he was a merchant of footwear. 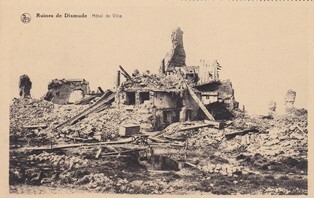 Diksmuide was the front line during WW1 and the town was reduced to rubble forcing its residents to flee. Many formed part of the quarter of a million Belgian refugees who were given shelter in the UK. It suited the British government to have them as a propaganda tool to encourage the war effort, and also as workers for the factories, which is why many settled in the Dartford area. But they quickly forced most of them out of the country when the war was over in 1918. The most famous Belgian refugee was Agatha Christie's fictional Hercule Poirot. The people of Diksmuide tried to keep in touch with each other, in the postcard Mr Ketele was writing to the son of the Burgemeester (Mayor) Baert to request the address of two of his neighbours. There was also a Diksmuide and District Newspaper which was published in England. As it turned out, one of the men he was looking for, Ernest Hosten, had gone to Paris where he wrote a book about "The Agony of Diksmuide". Miss Davies Cooke found a home for the Keteles. As well as Paul and his pregnant wife Anna (and presumably his 4 children), his father Joseph Ketele (1860-1932), stepmother Leonie (1863-1918) and younger sister Anna were living at Sacristy Cottage, Church Road, Hartley. Joseph was the verger (koster) of a church in Diksmuide. Meanwhile, living at Middle Farm was a Belgian priest, Father de Reume. 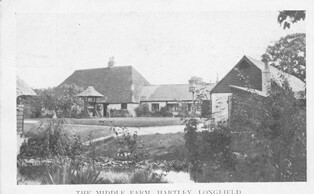 Middle Farm buildings about 1920. Sacristy Cottage is in the foreground on the right, a small part of the farm house itself can just be seen on the left margin. 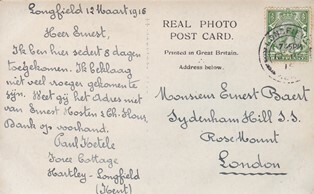 Paul Ketele gives his address in the card as the otherwise unknown Joice Cottage, probably part of the Middle Farm complex. When his daughter Julia was born on 30 November 1915 his address was given as St Joseph's Convent, Hartley. Mr Ketele moved to to 33 Park Road, Northfleet in 1917, then Claverdon, Singlewell Road, Gravesend in 1918. 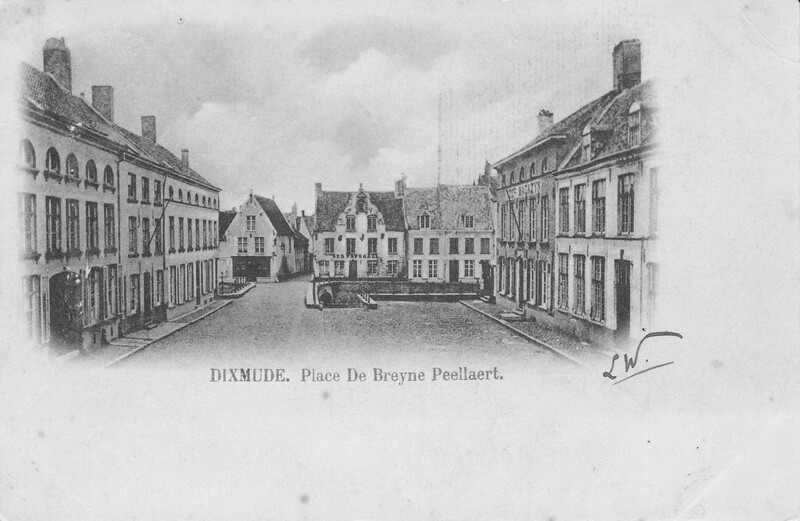 After the war the family returned to Diksmuide. Paul became a candle manufacturer and town councillor. War came again in May 1940, when once again Germany ignored Belgian neutrality. 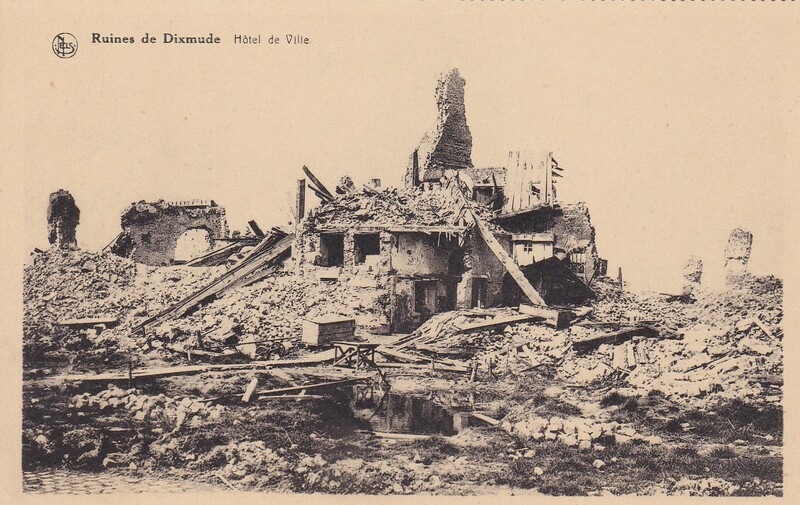 Millions fled the advancing Germans and Diksmuide was bombed. For the second time Mr Ketele was faced with a choice to stay or flee. Unlike most of his fellow councillors and mayor Julien Titeca, he decided to stay to receive the occupiers. During the occupation it was called a heroic act, to help the remaining townsfolk and refugees, however modern authors accuse him of ambition because he quickly joined the collaborationist VNV party and was appointed burgemeester (mayor) by the Germans, governing from May 1940 to June 1942. It seems Mr Ketele was either unable or unwilling to enforce some of the orders of his superiors. One example is the Boerenwacht (Farmers' Watch) who were supposed to stop theft of crops, but which few supported. An official complained in January 1942 that the Watch in Diksmuide "have not been able to discover or report any criminal offence, both the municipal superior and the mayor dare not take charge...". In May 1942 Jeroom Leuridan, a VNV official, wrote that the mayor of Diksmuide was forced to pay back some money and resign. The people of Diksmuide also managed to free the 286 people on a train bound for a concentration camp and hide them all from the Germans in 1944. We lose sight of Mr Ketele after 1942. Either he or his successor was said to be "too sick" in 1945 when wartime mayors were being prosecuted. Deposed mayor Titeca was restored soon after the liberation in September 1944.